It’s great to see young engineers starting to look at urban streets as places where pedestrians and cyclists are a good thing, rather than a dangerous inconvenience. 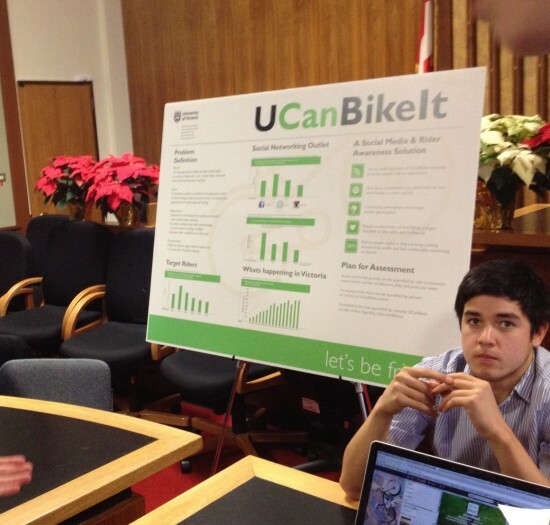 Recently, a group of Engineering students from the University of Victoria (BC, Canada) filled council chambers at Victoria City Hall with creative explorations of cycling issues that included bike-to-school programs, bike lane separation markers, all-weather bike canopies, bike storage locker systems, helmet vending options for bike share programs and transformation of city streets into ‘bikeways’ where the street design allows cars but favours bikes. 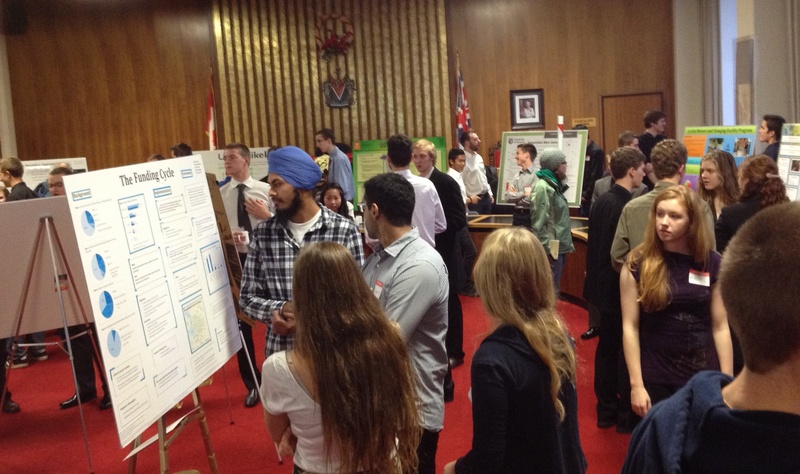 Another group presented a very realistic scenario for changing a major downtown commercial street into a pedestrian mall. University of Victoria Engineering students present cycling research at Victoria City Hall. Pioneer urban activist Jane Jacobs was famously critical of traffic engineers and what she called “the rot of bad science.” Bad traffic engineering is often characterized by the blind acceptance of outdated assumptions. For example, until recently few engineers were aware of how limiting and biased traditional “level of service” guidelines are – they didn’t question what was being “served.” The answer, of course, is that “level of service” serves car movement almost exclusively. So the shift, in recent years, is refreshing. The engineers of tomorrow are riding bikes to campus today, so why not get them involved in creating ways to extend the options for cycling in our cities? Victoria Engineering students promoting online and social media tools to build a cycling community. Now, it would be great to explore ways to continue to integrate the learning and energy of students with two other key groups – cycling advocates and municipal leaders and planners. 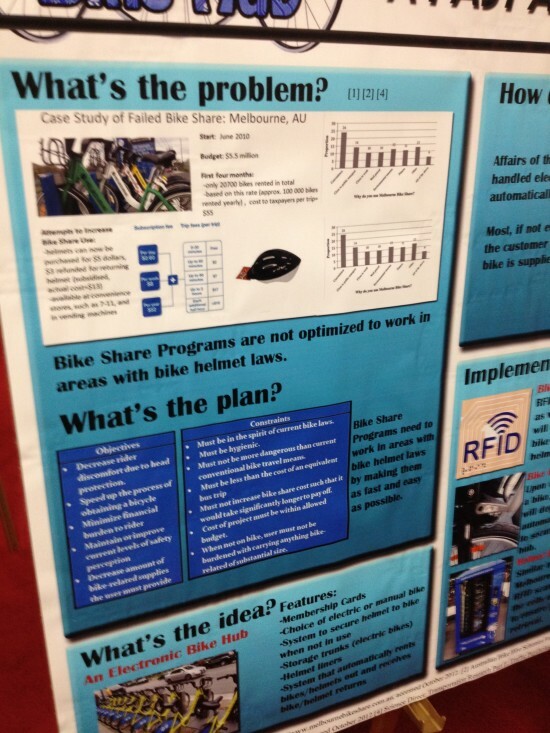 Students tackle the challenge of integrating helmet use and bike share programs.